The following is a statement from His Grace Bishop Suriel of the Coptic Orthodox Church, Diocese Of Melbourne and Affiliated Regions. The world watches in silence as the last Christians are expelled from Mosul, Iraq in one of the most merciless and barbaric acts of genocide we have seen in the 21st Century. Mosul, the cradle of Christianity in Iraq since the first centuries, is now purged of its entire Christian population. The ruthless and purposeful savagery of the attacks by the fundamentalist Muslim terrorist organization The Islamic State (IS) formerly known as Islamic State of Iraq and Syria (ISIS), is truly inconceivable. Yet, most world leaders remain silent in the face of the murder of innocent children and horrific beheadings of civilians. We question why the media has not highlighted the unprecedented systematic eradication of the city’s entire Christian population. We also question why the Australian government have yet to comment and condemn this gross deprivation of human rights. 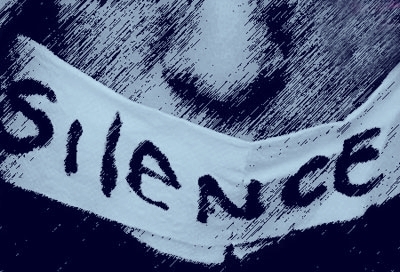 Silence, that sends a resounding message of indifference to the murders of innocent lives at the hands of extremist Muslim groups. 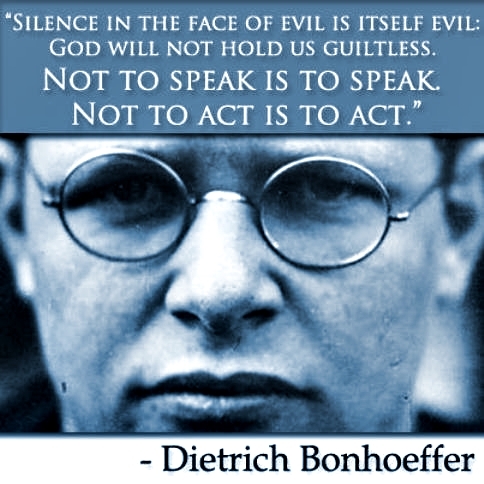 Silence, which attributes lesser value to the lives of Christians in the Middle East. Silence, that surrenders to the power of radicalism and the inhumane brutality of groups such as IS. In an age where world leaders are gifted with more power and global influence than ever before, I ask why the blaring silence and apathy? 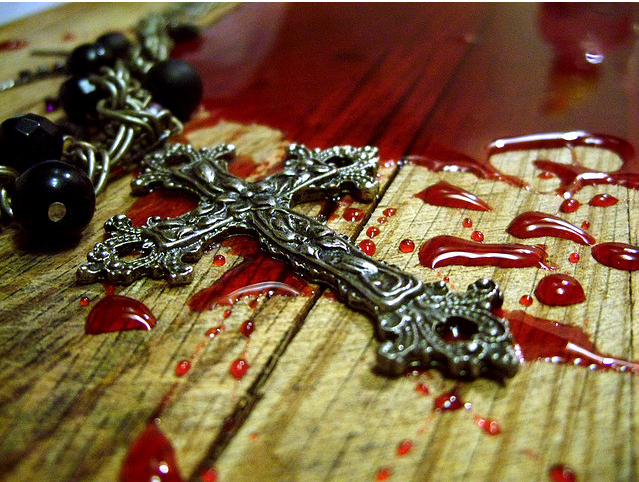 The Christian Copts are being forcefully driven out of Egypt and countless churches have been destroyed. Yet there is barely any international support and protection. Our peaceful protests and appeals to the government for action have fallen on deaf ears, time and time again. We are witnessing a heinous cleansing of the entire Christian population in the Middle East by an expanding extremist Muslim terrorist group.Are we going to sit back and watch the disaster unfold, and in so doing, contribute to the crimes against humanity? The world’s silence is fuelling these extremist terrorist groups. In Australia, we are sheltered from the inconceivable cruelty that our brothers and sisters in the Middle East are experiencing. We live in comfort and have no impediments to our human rights. However, we will not be safe from the indiscriminate and unstoppable destruction of IS and its ancillary extremist Muslim terrorist groups for long. If, as a nation, we do not take a strong stance against these crimes against humanity, it is only a matter of time before such fundamentalism infects the entire world. Only yesterday, it was revealed that two Australians had reportedly joined IS terrorists fighting in Syria and Iraq and are wanted for alleged terrorist activities. They proudly posted photos of themselves holding up the severed heads of fighters. Is our apathy to terrorism creating a safe haven for the breeding of Islamic fundamentalists on our shores? We call upon the Australian government to take a strong stance against these disturbing developments. Recommended: Bishop Suriel’s statement closely resemble the words and warning of our Syrian contact in the previous report, The Snake Creeps As The West Sleeps. He has suffered the great loss of his family at the hands of rebels. These Islamist militants are on a mission to persecute and eradicate Christians or anyone else opposed to their ideology. Please keep praying for strength, endurance and protection for those being persecuted. And get the word out. We cannot not remain silent! DAMASCUS, Syria – Syria’s state media say government forces have retaken a Christian town north of Damascus after a week of clashes with al Qaeda-linked fighters who had recently captured key parts of it. The state-run SANA news agency says the army “restored security and stability” to the town of Sadad early on Monday. The town had been in opposition hands since last week, when al Qaeda-linked groups captured a checkpoint that gave them control of the western part of the town. The fighting came as the U.N.-Arab League envoy headed to Syria for his first trip to the country in almost a year. Lakhdar Brahimi had arrived in Beirut earlier on Monday and left for Damascus. (RIA Novosti) – Threats of violence by Syrian opposition groups against participants of an upcoming peace conference on Syria are “outrageous and unacceptable,” Russia’s top diplomat said Monday. “And the fault, in the grand scheme of things, lies with those who fund and arm these opposition groups,” Foreign Minister Sergei Lavrov said in the southern Russian city of Rostov-on-Don. The UN-backed conference, tentatively set for November 23, has been lobbied for by Russia and the United States, which took responsibility for bringing, respectively, the Syrian government and the opposition to the negotiation table. However, many opposition groups have already said they will not attend the Geneva talks, and Syrian President Bashar Assad has also implied that the government’s participation is not guaranteed. Lavrov did not name any rebels’ sponsors in his diatribe. 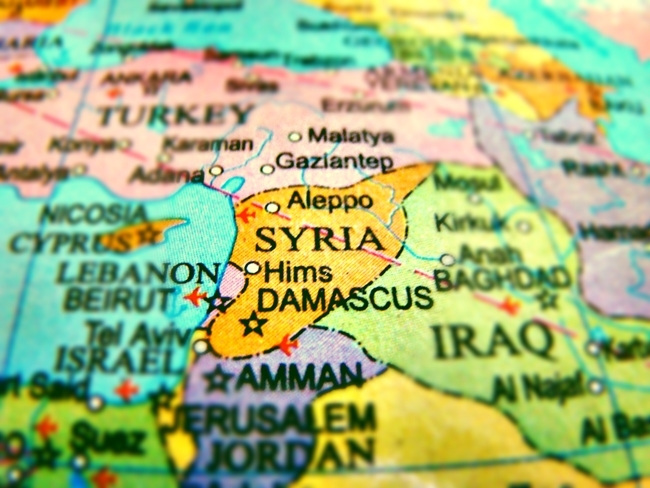 Syrian Islamists are believed to enjoy broad support from Sunni Arab nations, including Saudi Arabia and Qatar. Lavrov also criticized previous threats against countries seeking a political solution to the crisis, including Russia. Three Russian diplomats sustained minor injuries during last month’s shelling of an area around the Russian embassy in Damascus. 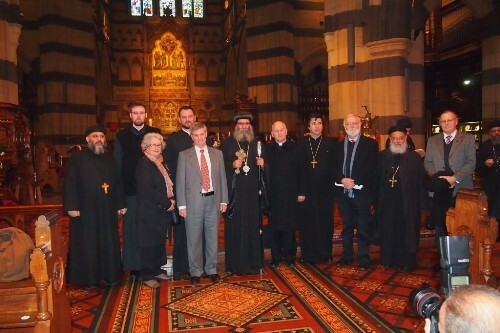 On Saturday 17th August, Coptic Christians gathered at St Paul’s Cathedral in Melbourne where Bishop Suriel of the Coptic Orthodox Church held a service to pray for Christians persecuted and killed in the current violence in Egypt. Violence against Coptic Christians has escalated in Egypt since the Muslim Brotherhood came to power. In April this year, a violent attack against Christians at St Mark’s Cathedral in Cairo left two people dead and many wounded. 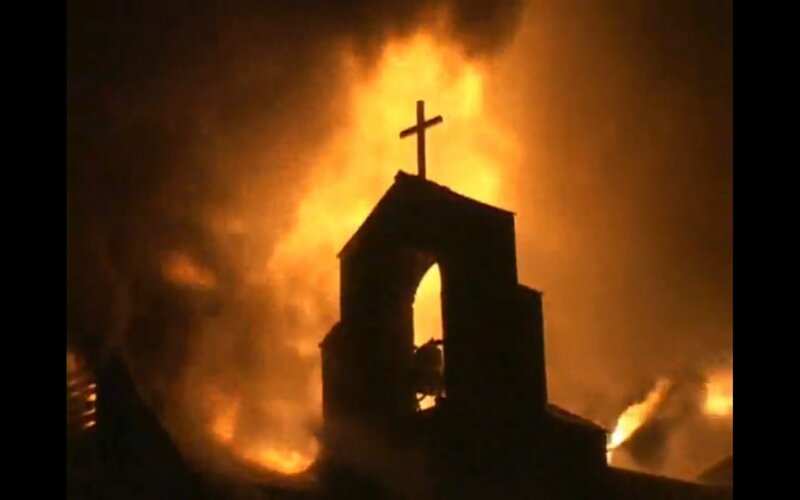 Dozens of churches around the country have been looted and torched, and threats have been made against the new pope in Alexandria. Christian women have also been sexually harassed and abused on the streets of Cairo, and shops and homes in Christian villages have been graffitied and vandalised.